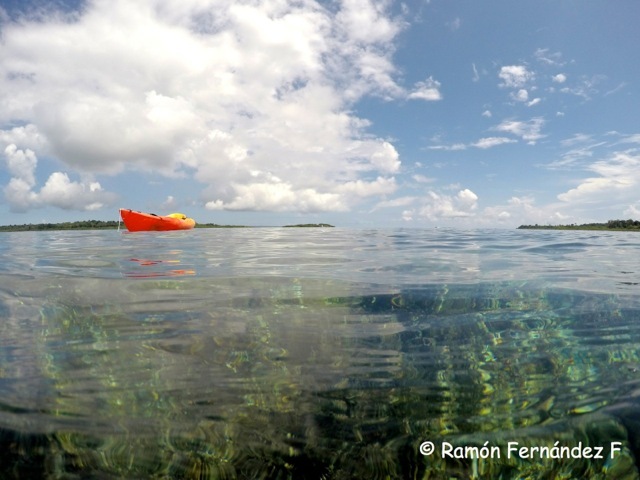 Due to Tranquilo Bay’s location in a nearly untouched forest area within the Bocas del Toro archipelago, and the fact that it is surrounded by protected waters that hold an incredible collection of coral and sponges, we have almost an unlimited range of things to do and discover right off of the dock. One of things we can do is take a kayak into the Caribbean Sea. We often do this directly from Tranquilo Bay’s dock. 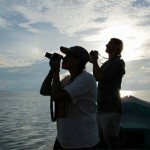 It is an excellent summary of Bocas del Toro’s many possibilities. We start early to avoid paddling under the harshest sun. We glide over calm waters into a mangrove channel. It is here that we can see some interesting wildlife: from cushion starfishes under our kayaks to the beautiful Snowy Cotinga flirting with the top of the trees; or a Keel- billed or Yellow-throated Toucans flying over our heads in the wider areas of the canal; or the Yellow Mangrove Warbler calling at the dense mangrove edge. 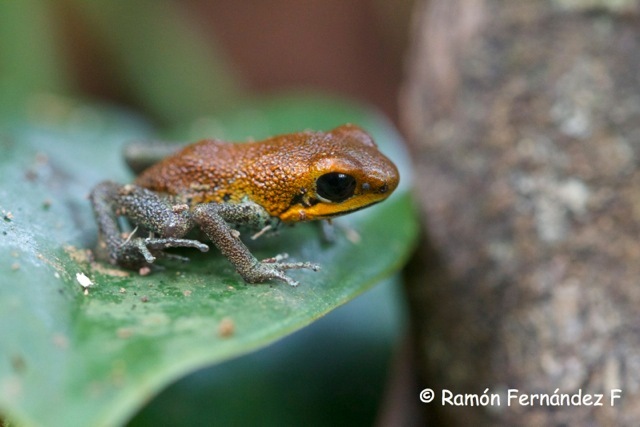 If we feel like it, we stop at Isla Popa and check for different color morphs of the famous Strawberry poison dart frog, with their green and orange tones, to the light blue legged ones. After experiencing the richness of our “over the water” world, on the way back we discover what the underwater world has to offer. Endless platforms of coral reef covered in life and color, playful shining fishes, countless brittle stars, mysterious feather-dusters, sponges, crustaceans, ascidians are all visible under the ocean. Each of these animals lets you witness their daily life. Textures and shapes curving underwater are a colorful live work of art. On the end of our kayak trip, it is a good time to compile and archive our memories of all the amazing things we saw within a kayak distance from Tranquilo Bay. 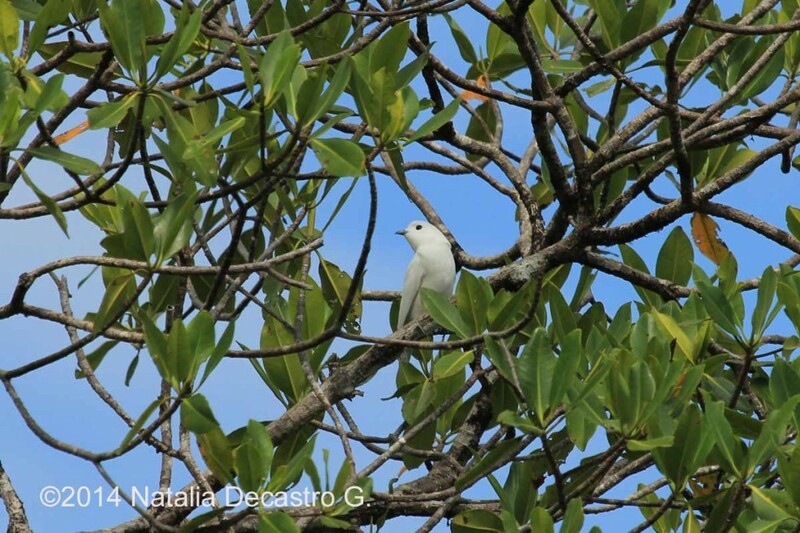 This entry was posted in Bocas del Toro Panama, Kayaking, Panama Vacation, Snorkeling and tagged Keel-billed Toucan, Mangrove Warbler, Poison dart Frog, Snowy Cotinga by Ramon. Bookmark the permalink.